Please Note: This is a discounted item and is not the current version of the product, and is no longer supported by the manufacturer. Create impressive 3D product designs with amazing speed; develop the 3D CAD skills now in great demand with employers worldwide; and join the world’s largest professional network of 3D CAD designers by installing your Creo Elements/Pro 5.0 Student Edition. Creo Elements/Pro features an intuitive interface with hundreds of tools which bring your most creative ideas to life—fast! In fact, recent tests have shown that Creo Elements/Pro users can perform tasks 40% to 70% faster than competitive CAD solutions. Because every Creo Elements/Pro CAD/CAM/CAE module is fully integrated and 100% associative, changes made to one module are instantly propagated to all other modules—providing you with an instant view and verification of design changes. You’ll work faster and smarter throughout the entire project. The Student Edition features the same advanced Creo Elements/Pro technology used everyday by hundreds of thousands of professionals worldwide. That means the skills that you develop will be immediately transferable to the professional world. Automated generation of associative tooling design and manufacturing deliverables. 1 CAD Solution in Academia and the Industry. Creo Elements/Pro 5.0 Student Edition features more CAD/CAM/CAE modules than competitive packages, and all the tools are fully ‘associative’ so that when a change is made in one module, all other modules are instantly updated. It contains a highly intuitive graphical user interface (GUI), and many of the most common tasks are automated. Creo Elements/Pro enables you to bring your most imaginative ideas to life—without compromise. While other CAD tools only take you so far, Creo Elements/Pro allows you to create an unlimited number of design iterations at blistering speed. Regardless of your project's scope, Creo Elements/Pro provides an easy-to-learn, easy-to-use, highly powerful solution. Find out what the Creo Elements/Pro 5.0 Student Edition can do for your designs. Creo Elements/Pro is the hottest CAD software on the market—not just in the industry, but in academia as well. 80% of the TOP 50 Engineering Programs in US are teaching Creo Elements/Pro. Creo Elements/Pro 5.0 Student Edition is an efficient extension from your computer lab to your own PC. Find Models Easier with Graphical Browsing - Students can now see thumbnails of their models in the File Open dialog and in Windows Explorer. You can now spin, pan, and zoom models in the new pop-up viewer does not load Creo Elements/Pro models into session, so performance is excellent. Improved Undo and Redo - Students can now recover for mistakes easier, enabling them to try things without being afraid of losing their work. You can undo and redo multiple commands and view the undo and redo stack to see how far back or forward you want to go. In general, Undo is more robust and available in more areas than before. Model Recovery - If Creo Elements/Pro exits unexpectedly, the model in session and the last used configuration are automatically backed up. When Creo Elements/Pro restarts, you can select the model you want automatically loaded back into session. All-New Failed Feature Behavior - Regeneration failures are easier to understand and fix in both parts and assemblies. If a feature fails to regenerate due to some change in a model, the model continues to regenerate by skipping the failed feature. Students can then edit and fix the failed features from the Model Tree. You have the flexibility to fix your model immediately or to continue modeling and address the issues at a later time. Assemblies can even be opened with missing information. Constraint shortcut menus, object-action workflow, and a consolidated user interface. Toggle between a diameter, radius, and linear diameter dimension. Create any type of dimension (Normal, Perimeter, Reference, or Baseline) by clicking the dimension icon on the toolbar. Improved Sketch Diagnostics - As issues are selected from the Feature Requirements dialog box, relevant entities are also now highlighted in the sketcher window. This is helpful for locating open and duplicate sketch entities, open sections, etc. Realism Enhancement - A transparent floor command is added to real-time rendering, just click the button (next to Shade) and the model is rendered. Improved Rendering – Rendering models has been greatly improved with regard to ease of use and quality. 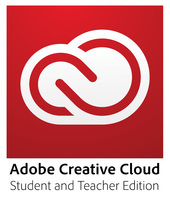 Installation and licensing has been improved for education editions. If you’re a student or educator looking to develop or teach the skills that are in the greatest demand in the industry, then it’s time to acquire your own version of Creo Elements/Pro. Creo Elements/Pro 5.0 Student Edition is only supported on certified 32-bit and 64-bit and Windows platforms. The following specifications are the minimum requirements to successfully run this edition.